add a handwritten gift message to the back of the card. 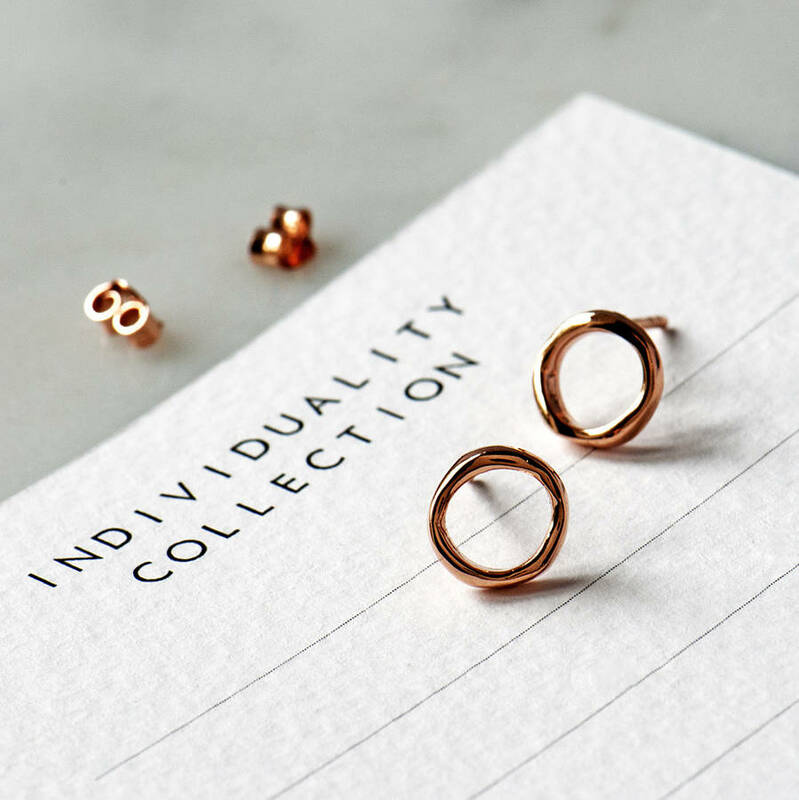 Our handcrafted infinity circle stud earrings are currently available in two finishes - Sterling Silver or Rose Gold. The earrings have a polished finish. 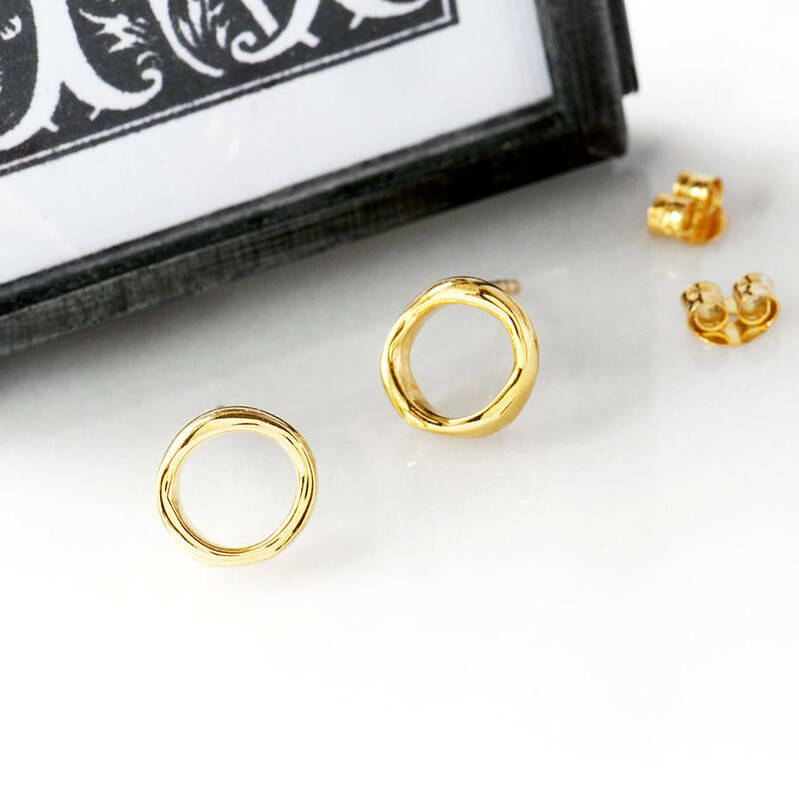 The studs are a perfect everyday wear piece, adding a fashionable and elegant touch to any outfit. Finished in either the soft polish Silver or with a Rose Gold plating, they are perfect gift for a loved one, friend or perhaps a treat for yourself. 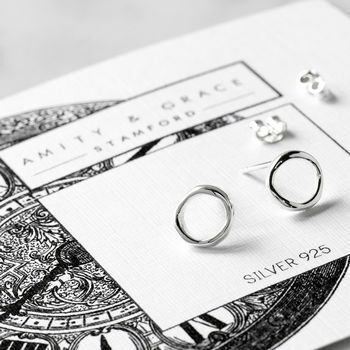 Your jewellery will arrive beautifully packaged on our bespoke Amity & Grace collection giftcard nestled safely in our branded white Amity & Grace jewellery box. There is a space on the reverse of the gift card for your personal message to the recipient. I can write this for you if you leave your message in the comments, or I can leave this blank for you... Please let me know in the message to seller box. The earrings have a matching necklace which is also available. 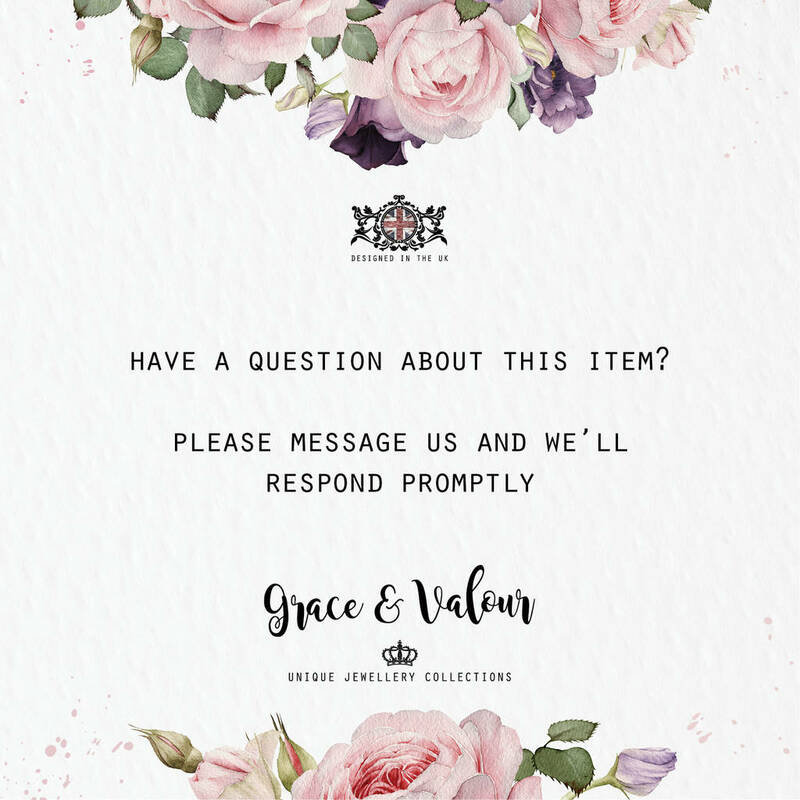 Grace & Valour is a boutique jewellery collection. 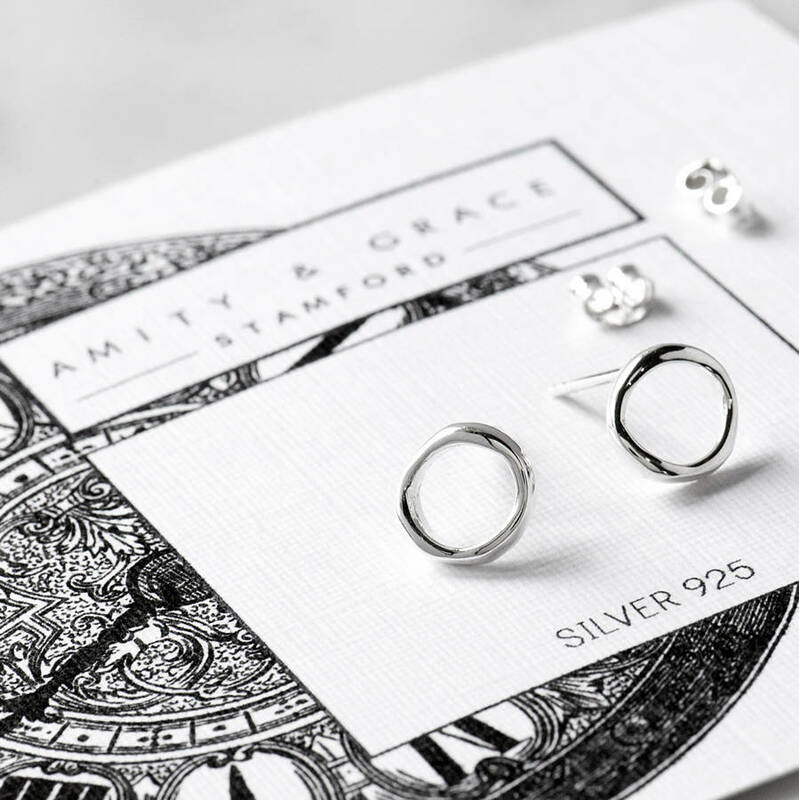 Each of our pieces is handmade with great care and attention to detail and designed in our studio in the beautiful Rutland countryside. 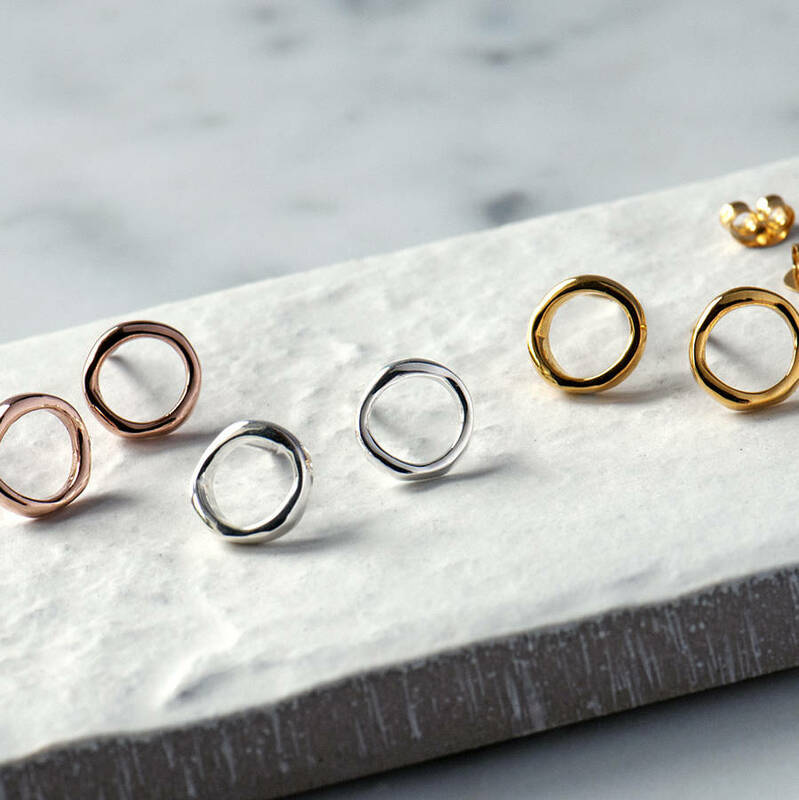 The earrings are made from Sterling Silver 925 or Rose Gold plating. Please take care when wearing these gorgeous earrings as contact with household chemicals, perspiration, chlorinated water, or lotions/ cosmetics may cause corrosion and tarnish. So it’s a good idea to remove silver jewellery when doing household chores, sunbathing or swimming as these will accelerate tarnishing.